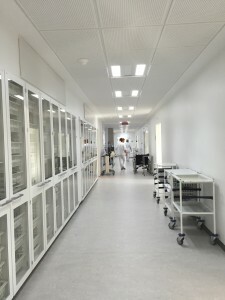 In 2014, the intensive care unit at Holbæk Hospital chose Chroma Zenit Circadian Lighting. 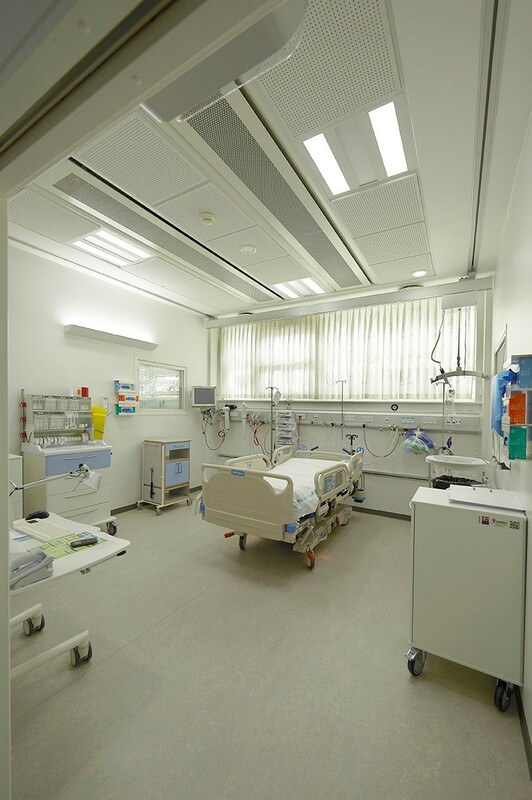 Now, the intensive care unit has a lighting solution that consists of basic lighting in the shape of Circadian Lighting, which takes the rhythm of the unit as well as the patient category into consideration. It is supplemented with ergonomic light settings providing the optimal light for specific activities and treatment. 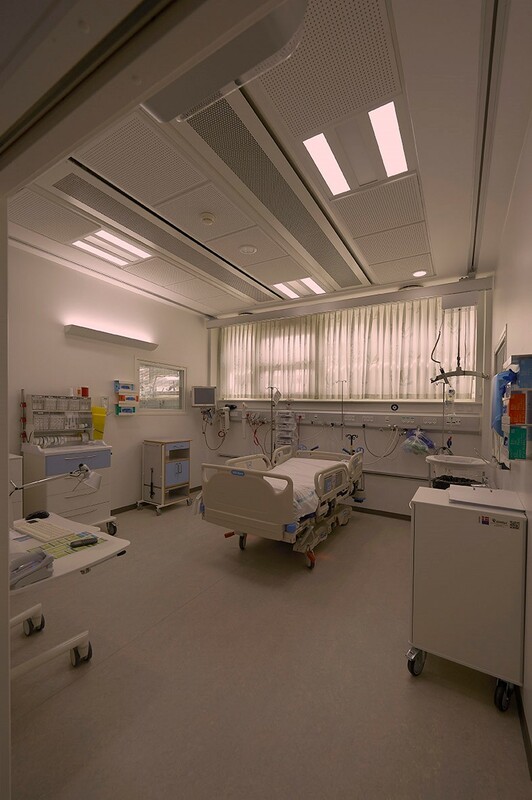 The customised lighting solution is a result of thorough dialogue with the staff of the unit regarding their needs, as well as Chromaviso’s lighting expertise and user-documented experience from similar installations. Patients as well as staff have felt the effect of the new lighting. ”From the first day, we have been very happy with our new light. 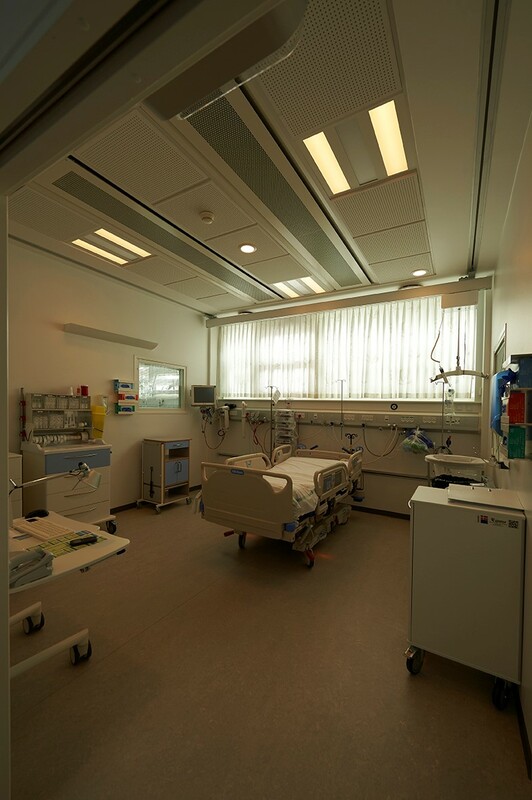 It is pleasant to walk around in, and things become clearer because we have more light”, explains charge nurse Susanne Larsen and adds that she would wish she also had Chroma Zenit Circadian Lighting in her office. ”I work in the unit in all three shifts, and therefore, I experience the light around the clock. I think it is very nice and I use it on all shifts. I feel better after we have been given the new, strong light”, says nurse Tina Mølgaard. 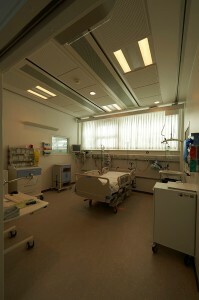 She also says that the staff in the unit has become more aware of speaking in low voices when the light is dimmed in the evening and at night. 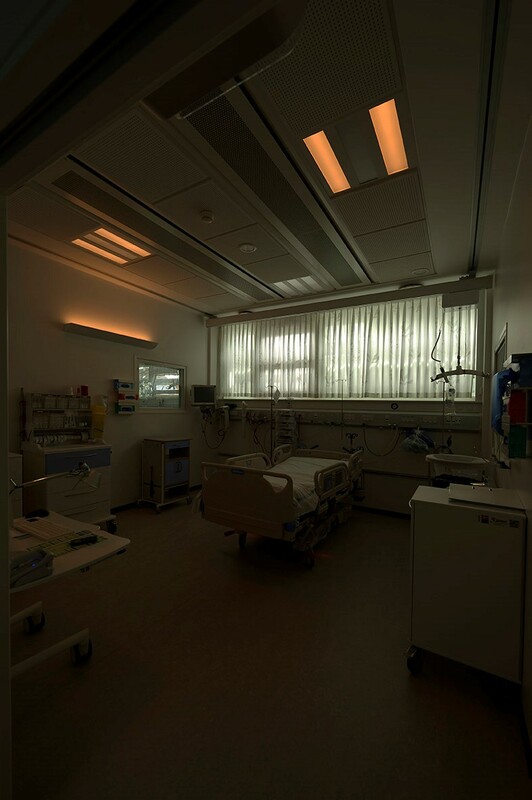 The patients feel well in Chroma Zenit Circadian Lighting, and the light ensures a steady rhythm and time perception, which is vital to good support of the circadian rhythm. Therefore, the staff no longer turns off the light when the patients rest during the day. The light is strongest in the middle of the day, and at night, a specially developed night light is turned on in the halls, while it is dark in the rooms, but with the possibility of a number of light settings as needed. ”Before, we would dim the ordinary light, but it is more pleasant with the new night light. 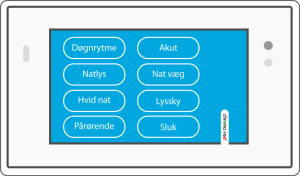 Actually, we always look forward to when the night light is turned on in the halls”, explains Tina Mølgaard. The design of the night light gives the staff optimal visibility while the natural circadian rhythm of the body is not disturbed. Nurse Vivi Petersen often works on the night shift, and she experiences several advantages of the night light and the various settings she can turn on at night, where she used to have to turn on a bright light in the whole room. With the emergency light, all light in the room is turned on as bright white light, making it possible for the staff to take action and see everything around the patient.